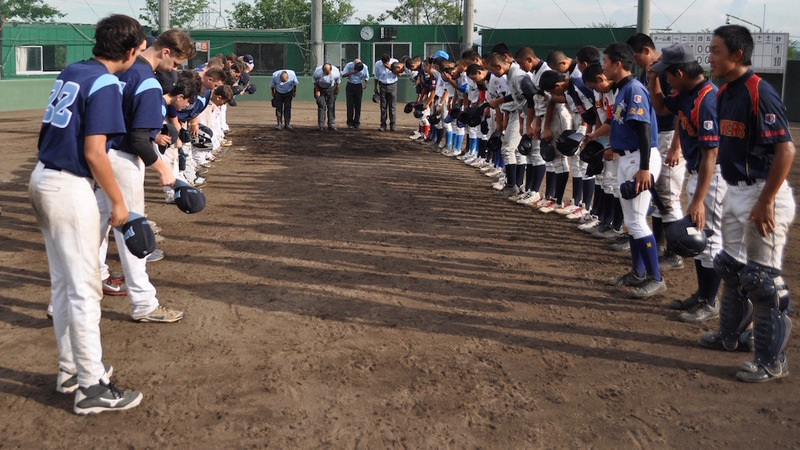 The Junior Roos (JRoos) program is a development initiative aimed at giving 12 to 14 year old players an insight into the way other countries approach baseball, particularly Japan. Japan is widely recognised as one of the worlds powerhouses of baseball. By travelling to Japan and playing in games and training with Japanese teams players will learn where they are currently compared to the Japanese level. Players will gain an insight into what is required of them to take their baseball to the next level. Travelling to Japan will also give players an understanding of the culture behind the Japanese success and how it influences their approach to baseball. The Japanese culture teaches respect at all levels and this is true in their baseball culture as well. An example of how this is that you will often notice teams bowing to the field before a game or training and all batters give a slight bow to the umpire each time they approach the plate. In 2019 the JRoos will play games in the outskirts of Tokyo and in Osaka as well as visit the famous Koshien Invitational High School Tournament. They will also take in some sightseeing, visit some baseball stores and an authentic castle.